Today was the first day after the Vernal Equinox, it could be said to be the first full day of spring. For those of us in Northeastern Ohio, this fine “spring” day dawned with temperatures hovering at about 17 degrees (F) with a light coating of snow everywhere, and new snow lightly falling. Yeah, spring. Driving to my duties, I passed through the snowy spring wonderland gazing at many a lovely scene. 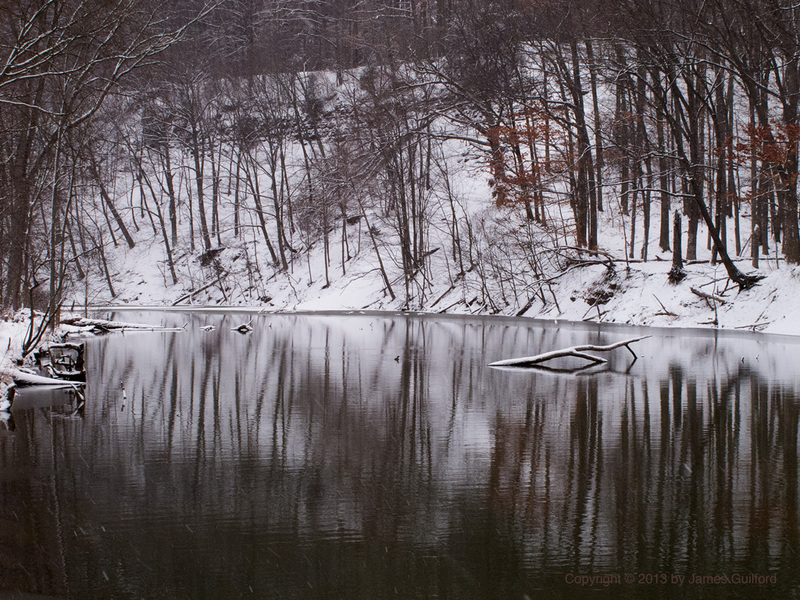 Finally I stopped at a favorite place for morning pictures, the Lagoons area of Cleveland Metroparks, to record a scene or two. Dark waters set off snow-covered wooded grounds, and outlined the trees. Falling flakes clouded some distant areas. Amidst this seeming unseasonal scenery was a bit of a surprise. 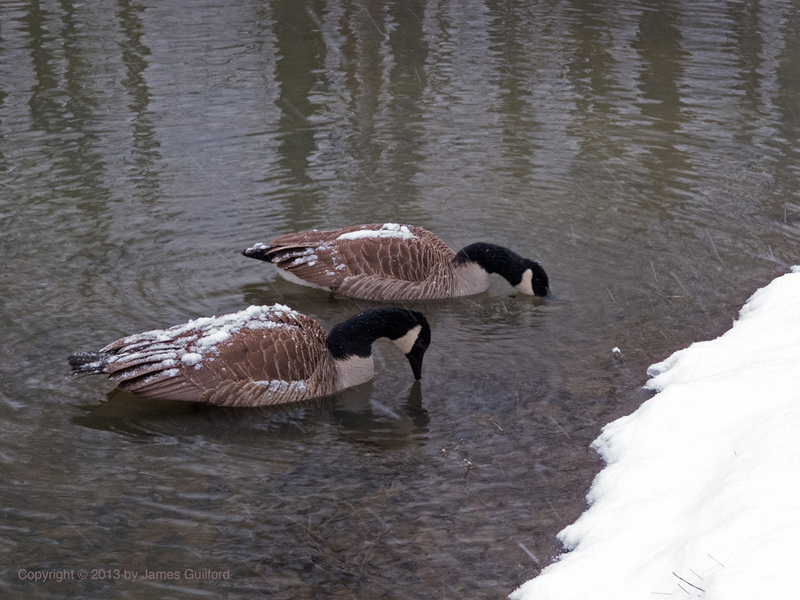 Two Canada Geese launched into the frigid waters to escape my approach and on their backs… a coating of snow. Spring? Well, it hasn’t “sprung” just yet. Not Snow Geese, SNOWY geese! Gorgeous! Especially the first one – so peaceful. The breaks in the reflections really drew me in.